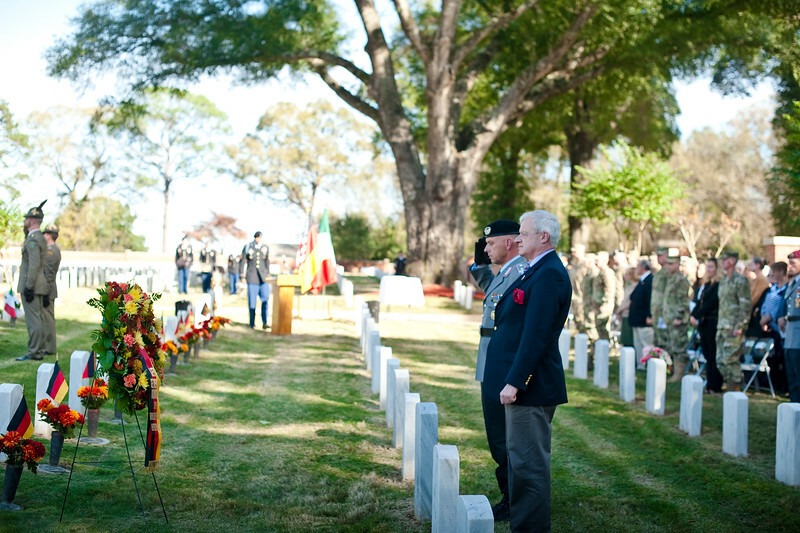 (FORT BENNING, Ga.) Fort Benning Soldiers and civilians observe the German-Italian Memorial Day Ceremony, November 16, 2015 at the Fort Benning Cemetery. German Dep. Consul General, Thomas Wulfing gave the keynote speech. The observance honored 44 German and seven Italian World War II soldiers who were buried in the post cemetery. These soldiers were incarcerated here as prisoners of war during World War II between 1943 and 1946.